Beginning today, Penn State University is offering Adobe Creative Cloud to all students and faculty, who will have full access to the suite of multimedia design tools at no cost. The deal spans the institution's 24 campuses, regardless of discipline, course or program. Goals for the implementation include fostering digital literacy skills, encouraging innovation in the classroom, improving the learning experience and preparing students for the digital economy, according to a news announcement. 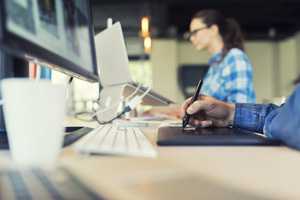 Adobe Creative Cloud tools will be incorporated into curricula, "enabling students to practice digital skills as part of class assignments and projects," the announcement said. "Students are more digitally and technologically savvy than ever before. It is our goal to teach them skills and provide resources they can use to develop and showcase their digital competencies in their careers and personal life," explained Michael Kubit, vice president for information technology and CIO at Penn State, in a statement. "Developing proficiency in the use of tools, like those offered in the Adobe Creative Cloud, will help differentiate Penn State students in their careers. The range of products and flexible application make it suitable for students from all programs. We have a specific vision for the educational model we offer, and we see this investment in Adobe Creative Cloud as integral in achieving those goals while showing our commitment to our students and their future." For more information, visit the Adobe site.